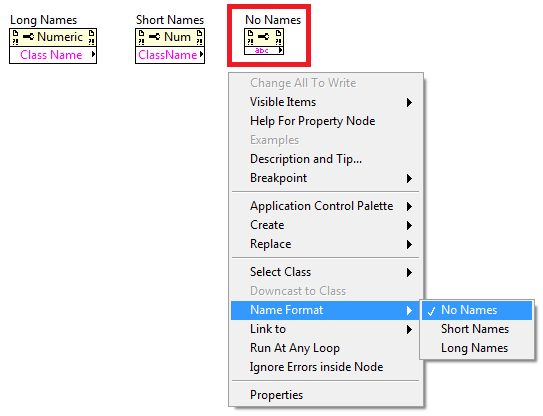 Code is more self-documenting when property and invoke nodes are set to "Short Names" or "Long Names" Name Format. Could this be extended to also check the "Name Format" of "Call Library" nodes? Setting it to "Names" is more self-documenting than "No Names". Unfortunately, I do not find the property for this (on a "CallLibrary" refnum).